Panupong Apartment offers homely accommodation with private balconies, a 2-minute walk from Chaweng Centre’s nightlife and dining options. It provides free Wi-Fi in the entire property, laundry services and the convenience of a tour desk on site. 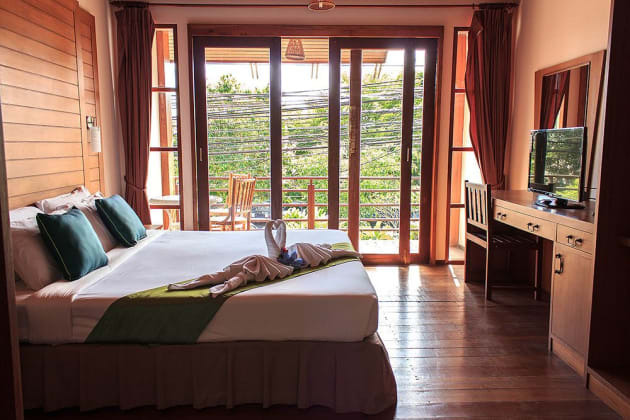 Apartment Panupong is a 300 metre walk from the beach and 15 minutes by car from Samui Airport. Parking is available free of charge. Rooms feature a soothing pastel decor and are fitted warm lighting. They are equipped with air conditioning or a fan. They all have a comfortable seating area, cable TV and a safe.